Joel, reading this piece brought back the smell of the stacks and the memory of being in the back of the 6th floor when the lights went out. What a wonderful group of mentors we had in our Lilly family. Lilly Library, and the people who lovingly maintain and improve the collections, will always hold a special place in my heart. I remember you so well! I have often wondered what you are doing now. Are you still in Japan? Sorry to hear about Bill. Thanks for writing this lovely tribute. Thank you for your kind thoughts. I hope you are well. 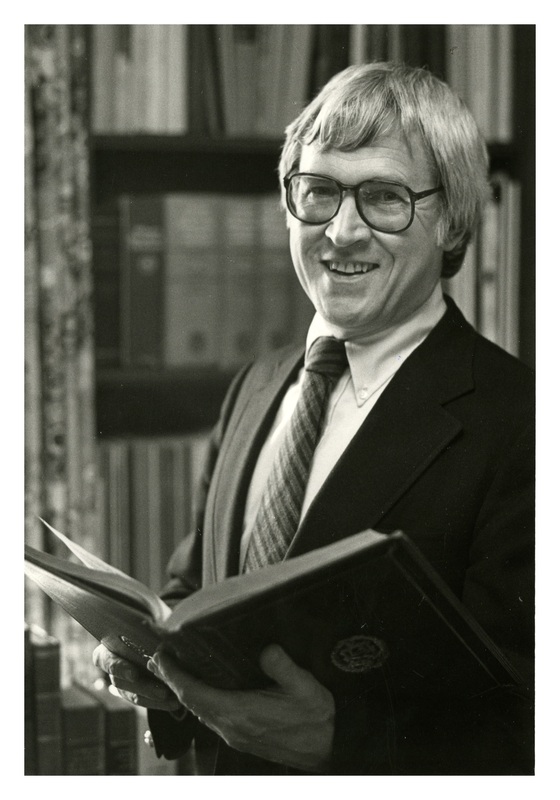 Our condolences to the Cagle family and to Bill’s former colleagues at Lilly Library. Bill carried on the standards established by Davis Randall, maintaining the Lilly Library’s reputation as a premier research institution. He was a friend to scholars, to bookdealers, and to donors, whose contributions were important in building the collection. Bill was generous in sharing information that was helpful in strengthening and promoting the book trade. He was a great friend to the book world and a kind friend to us, and he will be greatly missed, for his wide-ranging knowledge and for his collegiality. I really enjoyed reading your post. I will always remember our lives in Bloomington with great fondness. I hope you are both well. Thank you for the sweet tribute. I have come across this page most unexpectedly and had no idea about Bill Cagle’s passing. Only yesterday I was talking with my mother about Bill and when he and his wife came to stay one night with us in Somerset in the U.K. around 1971. My father, Michael Lewis, was an Antiquarian Bookseller (and I was learning at the time) and Bill and Terry visited our home to look through our stock. He was indeed a shrewd buyer and many of our best books were sold to him through our catalogues. I do recall that Terry had been reading a copy of Kiss Kiss on the aeroplane and she recommended that I find a copy to read. I did, and have enjoyed reading Dahl ever since. My God, you have an amazing memory! I remember your parents very well. They were great fun, and your mother was a superb cook. And I remember Dickens the Alsatian too. He was fearsome. I hope you are well. I learned today of Bill’s death. I remember our days as neighbors and such good friends. Weekends in Nashville. Our trip to southern Indiana. I will always remember your (very expensive) wine from Spain. Bill introduced me to a book about my grandfather. Becky died last year and our daughter Sarah is happily married and has two healthy boys. Sharon has been my faithful partner for more than 27 years. We have been to Paris several times and how I wish I had known you were there. I wish you the very best and send you my love.